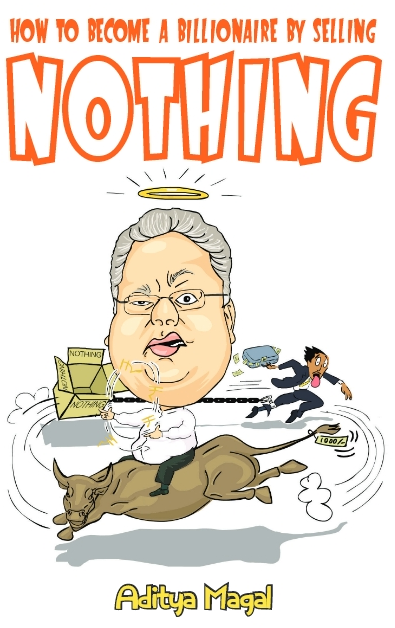 The Secret Journal of Rakesh Jhunjhunwala: What? A Gambling Casino in India? Some online gambling joker has decided to launch a real gambling boat off of Goa. This guy Amar is out of his online mind if he thinks a 20,000 sq. ft. boat is going to rival any casino in Las Vegas. He claims he is going to ferry people in speed boats to his little boat for a day of gambling, drinking and who knows what else. Well I’m not happy with Amar and his little tug boat gambling venture. The only gambling that is allowed in India is the stock market and I plan to keep it that way. I hate to say this but Amar’s boat needs to be clipped, iceberged and erased from our shores. This wise guy can’t expect to start taking money from us without giving me some of the take. Mr. White & White said he could handle the details and clean up the mess without anyone knowing. Mr. W&W claims Amar will be renamed to Mr. Yellow and thrown overboard when the boys get to him. Hey Amar, when is a boat not a boat? When it’s aground ye moron.